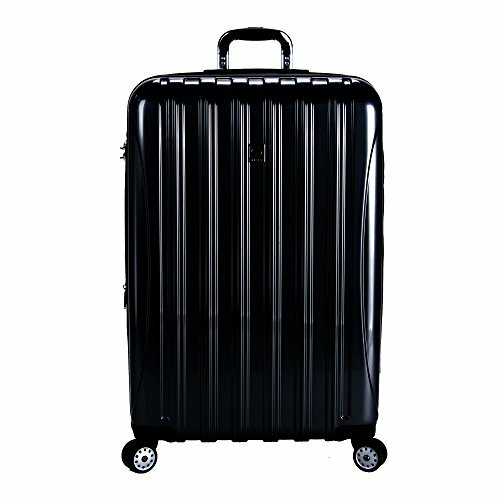 Would you like to own a stylish, lightweight spinner suitcase? 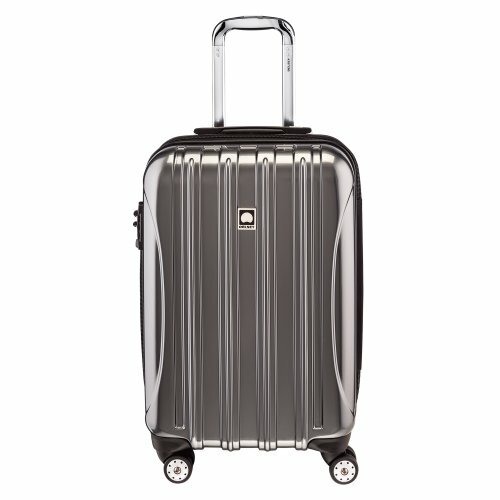 How about a suitcase with sturdy aluminum handles that comes with a 10-year warranty? If so, then you’ve come to the right place because the Delsey Helium delivers all that and more for a very reasonable price. Do you want the bad news? 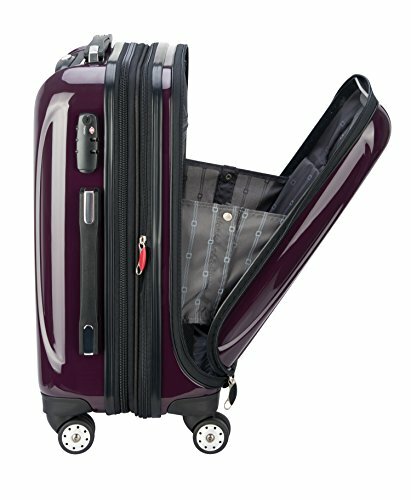 Is the Delsey Helium Aero Spinner Worth It? You also have a reasonable amount of choice when it comes to the color too – it’s available in 5 to be exact. 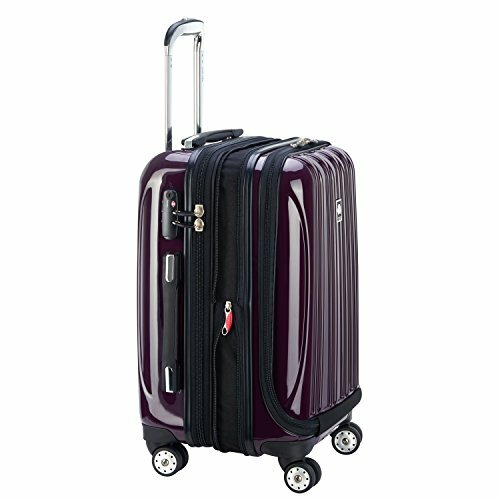 They all have a glossy metallic finish, which really makes the suitcase look stylish and modern. When opened, the Delsey Helium is divided into two fully lined compartments. This is not always the case on such a budget suitcase, so it's nice to see Delsey has done this. One side has the usual elastic tie down straps, and the compartment on the other side is zippered. The zippered panel also has some extra zippered pockets in some models. And there is a side pocket as well. Both sides are quite roomy, and you’ll be able to pack everything you need inside the suitcase – unless you plan on taking your kitchen sink with you. Then you might as well stay home! But jokes aside, I love packing a hardshell because you have two sides to pack. Giving you lots of options and flexibility. This hardshell is made of 100% polycarbonate, which is how it manages to stay so light. This type of material is also incredibly durable, and can withstand even the most "energetic" baggage handler. This baby should last you for years, even if it does get a few battle scars. 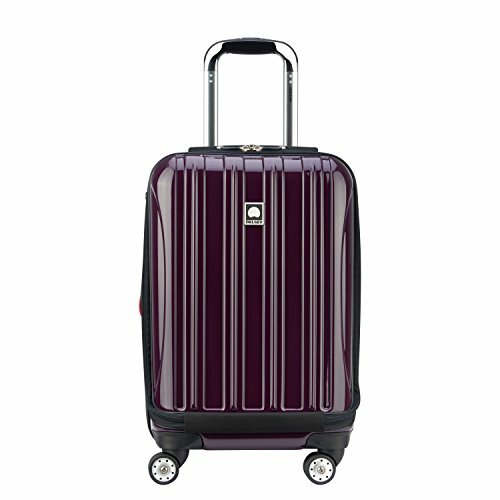 What’s also great about this suitcase is that Delsey offers a worldwide 10-year warranty for it. So, even if something were to happen to it, the company will gladly provide you with a new one. Good deal, right? If you have never had spinner wheels before, you are in for a treat. They help you effortlessly push your suitcase along beside you, without all that hassle of dragging a dead weight behind you (like you did with that old two-wheeler). 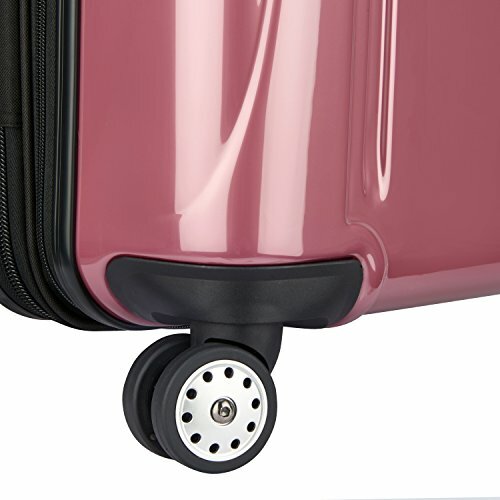 Spinner wheels roll evenly when the suitcase is not tilted (which it can also be, if you need to pull it up a hill for example). They turn your suitcase into a cart of sorts. This puts less strain on your shoulders, allowing you to arrive to your destination pain-free. Delsey takes this a step further on the quality front too. 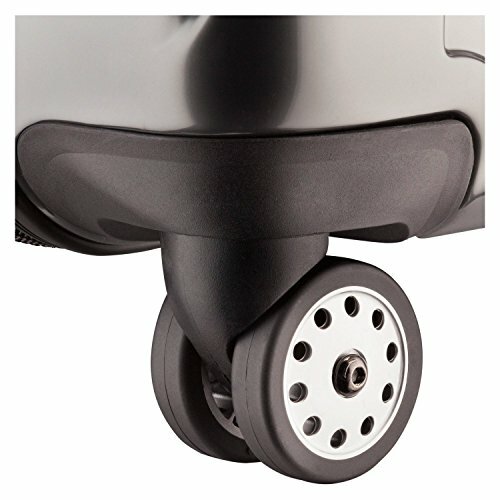 These spinners have two wheels (one on each side) allowing for smoother rolling and less effort for you. They should also last a little longer, as the load is shared by two wheels instead of one. This is again a feature that you normally only see on mid to higher end models, so I am surprised Delsey has included these dual-spinners! The most important thing about your luggage is that its contents stay safe while not in your hands, right? Well, with Delsey Helium’s TSA approved lock, it will be as safe as it can possibly be. The lock has a 3-dial combination that you choose, and it takes less than a minute to set it up. If you travel a lot, especially within the US, then this you know how great this feature is. The TSA love to do spot inspections of cases while they are in airports, and they don't have to ask your permission. So, if you don't have a TSA lock, then they will open it forcefully. Goodbye lock, and if it is integrated into your case, there goes that too. That is why TSA friendly locks are such a bonus. Yes! 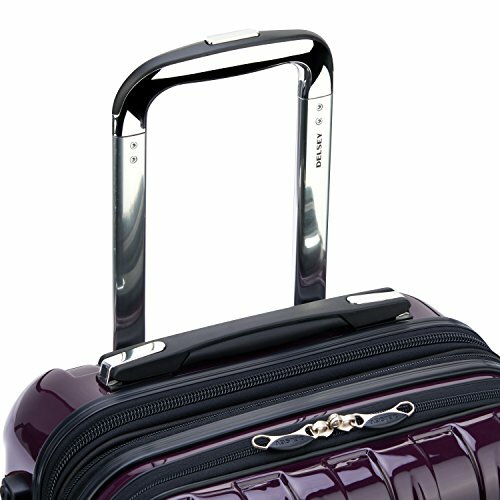 You can finally say goodbye to those horrid plastic handles, because this suitcase has comfy aluminum grip handles. On the inside they are rock solid, but on they outside they feel, well, just incredibly soft. So, while your fellow travelers are abusing their hands lifting their old case, you will come out the other side of check-in still smiling. Another bonus is that the suitcase is quipped with handles on its sides, as well. If you are, however, a perfectionist, then it might bother you that the main handle isn’t fully centered. This is because of the many zippers, but it does not affect the performance of the suitcase at all. It's just a tad annoying, but not something that would stop me from buying another one of these. How many times have you struggled to pull out the top handle on your suitcase, only to have it fall back down on you. D'oh! Personally, it used to happen to me almost every single time, so I know how frustrating it is. But, the Delsey Helium will not cause you that kind of despair again. The handle has a button that holds it in one position, and it works like a charm. You take out the handle, press that little button, and that’s it. It won’t budge an inch and it won’t bob up and down as you’re walking around. You will be in complete control of you suitcase, and not the other way around (and let’s face it, that happens more often that anyone would like to admit). Now, this is what really sold me on this suitcase. A part of me always dreaded zipping up my suitcase, because it usually involves me sitting on it. And with my laptop tucked somewhere between my shirts and towels, I considered it an extreme sport. And do I even need to mention all the times you zipped up that suitcase, and then realized that you forgot to pack something? The cool thing about the Delsey Helium (21 inch carry on version) is that it features an outside front compartment, with a laptop sleeve built in (it can fit up to a 15.6 inch laptop). and that compartment is roomy enough for a lot of other things you may need to be able to access fast. Books, a change of clothes, your chargers – it can all fit inside the 2 zippered mesh pockets of the compartment, and be right at your fingertips. However, if you pack anything bulky or firm (shoes, book, perfume) in the top part of your suitcase, it will protrude into the outside compartment. That is a minor downside I must say. So, I would recommend that you pack all your clothes towards the top, and reserve the bottom for the firmer items. Oh my. What I hate the most about travelling, or rather about travelling back home, is trying to fit in everything I bought on the trip. If you can relate, then you’ll be happy to know that this one can actually be expanded up to 2 inches. This is a great feature for anyone who likes to do some shopping while abroad (duty-free shops anyone?) or just having room in case. If that magic spell doesn’t work out for whatever reason, you can always use the zippers that are there to expand its body. You won’t get as much extra space as the undetectable extension charm would have given you, but it will still feel like magic. Yes, it definitely is. Overall, it really is an great suitcase. It has a ton of cool features that will make your life easier (especially if you travel a lot), such as the spinner wheels and the TSA approved lock. It is a very roomy suitcase, and on top of that, it can be expanded by 2 inches. You can get it in 4 different sizes, ranging from 19” to 29”. This makes it incredibly easy to get a suitcase that will fit your travel needs perfectly. The Delsey Helium Aero Spinner is incredibly lightweight. 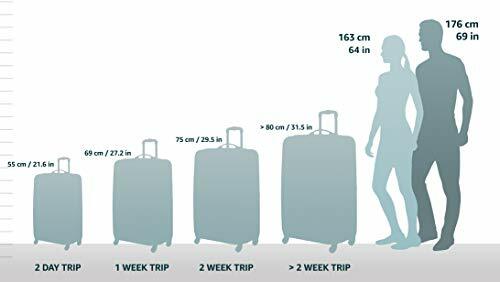 The 19” version weighs only 8lbs, and the largest version (29”) of the suitcase is just 4.5lbs heavier. One suitcase is just not enough? No problem. You can also get a Delsey Helium Aero set on Amazon. Whichever one you choose, you won’t be disappointed. 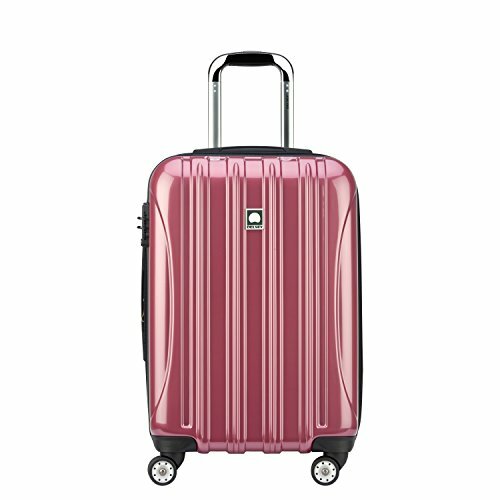 Head on over to Amazon to get a great deal on any of these Delsey Helium Aero Spinner suitcases!